Thanks to Richard Phillips for this guest post. It’s that time of year again; the South Wales Postcard Club is holding its Autumn Postcard Fair in Roath. This is an excellent opportunity for collectors in South Wales and the M4 corridor to find more material in their various collecting fields. 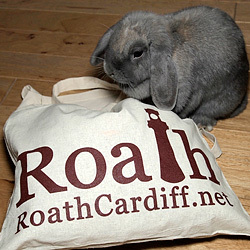 The fair takes place on 17th October, at St David’s 6th Form College, Ty Gwyn Rd (CF23 5JB). Twenty dealers selling thousands of cards on a multitude of subjects (including local history). Open 10:00am – 3:30am, admission £1. I was lucky last year in October when the fair was held, because it was the same day that Albany Road Primary School held their exhibition highlighting the school’s role as a hospital during World War One. I took some time out from the fair to visit with a friend, and we were blown away by the amount of work and research that had gone into the preparation for the exhibition. As postcard collectors it was very interesting to see the blown-up photos, which had been originally postcards, showing wounded soldiers, patients in this temporary hospital. The attached image is also a postcard and thanks to the work carried out by the pupils of Albany Road Primary School, I was able to identify it as taken of patients at the school. 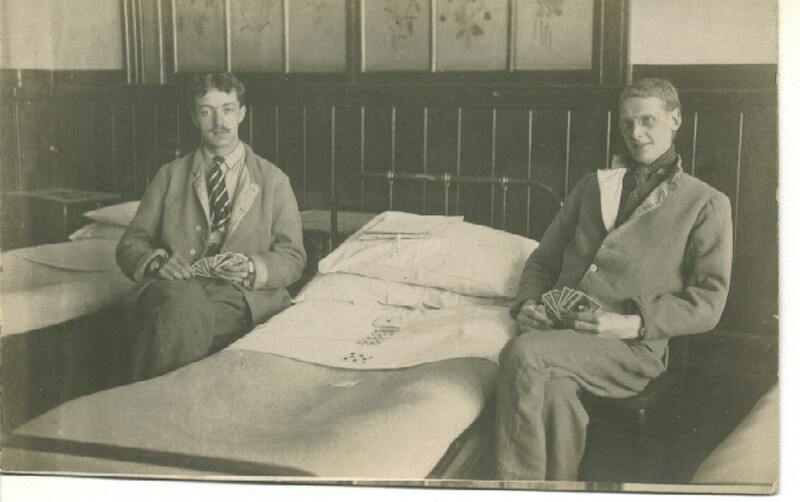 Two men dressed in hospital blues playing cards. Unlike other photographs of patients they don’t look to have any particularly injuries, but who can say what mental scars there might be below the surface. Did they go back to France, did they survive the war? And who knows what pictorial delights I will unearth this time at the Fair?